Because our systems focus on individual living spaces rather than treating every room the same, it’s more customizable, more energy efficient and easier to install. 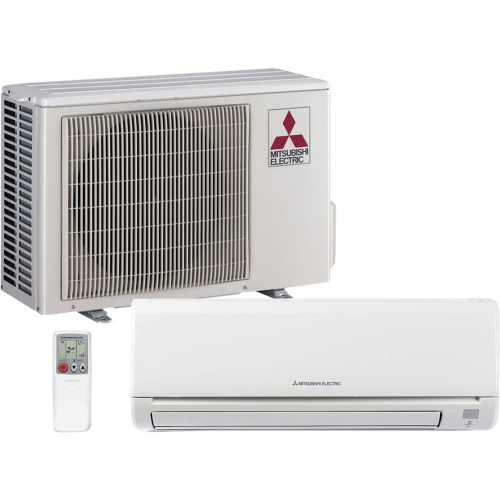 Mitsubishi Electric brings unmatched energy efficiency, performance and control to home cooling and heating. It’s never been easier to keep everyone in your house comfortable, without spending a fortune on your energy bills. Conventional systems are either on or off. All or nothing. Our compressors ramp up or down based on the needs of each room to maintain comfort and conserve energy. Mitsubishi Electric Zoned Comfort Solutions™, including our deluxe wall-mounted models, use advanced features like 3D i-see Sensor™ to monitor occupancy in individual zones and adjust the temperature so you are always comfortable. Air handlers in each room measure return air and adjust automatically, rather than adjusting to conditions measured by a thermostat in a different room. For select units, 3D i-see Sensor scans the room, detecting occupants’ heat signatures, and adjusts temperature and airflow to maintain temperature and eliminate cold or hot spots. Rather than turning on and off at certain temperature thresholds, INVERTER technology continuously ramps up or down to maintain the desired temperature.